Post-Graduation Plans: Following graduation, I will be attending law school at the University of Minnesota Law School with hopes of specializing in human trafficking or trusts and estates. Out of every involvement I’ve been in while at UNL, Dance Marathon has easily taught me the most real-world skills. When I came into the role of president, I knew I would learn things, but I never imagined I would take away so many valuable skills. The first impact Dance Marathon has had on me as a student leader is the realization of how important the relationship with the people who lead with you, and those that you lead, is. I always tried to take time outside of meetings to talk with people, get to know them, learn about who they were, and have open and honest communication about their role in the organization. I valued those who were on my team and on the staff team and wanted to make sure they knew they were valued and needed. Without having strong relationships with those on your team, no organization will be successful. Janae and the University of Nebraska Dance Marathon team revealing the 2018 fundraising total. The specific skills I gained were numerous but I think two are truly invaluable to my future. First is learning how to communicate professionally and effectively with different groups of people. In my role as president, I communicated with college students, families, children, university administrators, hospital professionals, and regional DM leadership. All of these different audiences had different involvement and goals within Dance Marathon. In order to work in an effective manner with each of these different groups, it required adapting my communication style and method and approach to the conversation. This skill is invaluable for my future career as each person in a company has a different communication style as well and, to work well with those different styles, adaptation is essential. A second skill I more fully developed through Dance Marathon is collaborating with other people and asking for help when it is needed. I am a person that likes to be able to do things on my own, but through Dance Marathon, I learned that is not the best method for trying to make the organization as successful as possible. 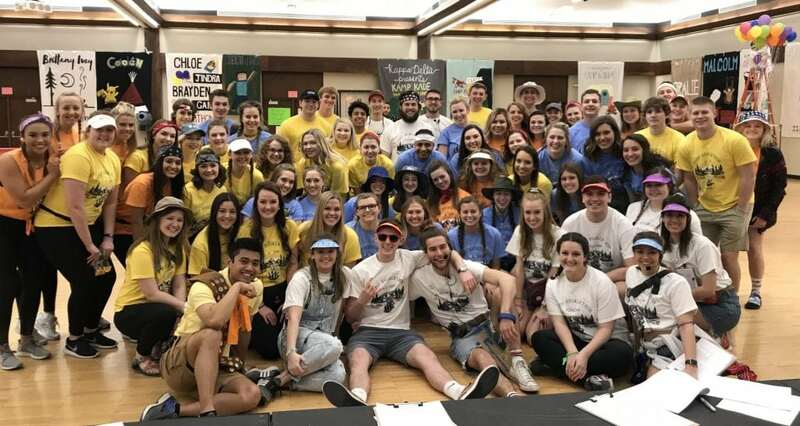 Even though it was difficult at first to admit that our organization was struggling with fundraising, recruitment, communication, etc., once I began talking with other Dance Marathon programs that were struggling with the same things, I realized how valuable that advice was to our successes as a program this year. I spent many hours collaborating with those that have experienced similar struggles in order to create new events, programs, and fundraising plans to improve our organization. Why I personally became involved in Dance Marathon is easy–because I had the opportunity to be surrounded by a large group of highly motivated and passionate people improving themselves and the community around them through a unique organization. In my opinion, college students today face incredible pressure to “build their resume,” have real world experiences, get better grades, and be more involved. They are convinced that without doing these things, they won’t be successful. I admit that I fall victim to this thinking quite often. Building my resume was important to me, but doing something that made me happy, rather than doing something because I was told to, was the major reason I stayed involved with Dance Marathon. Not only does DM teach you invaluable leadership skills, but while doing that you get to directly impact those around you. College students should get involved in Dance Marathon on their campus because it is something bigger than their four years and something that can go beyond that. They can be involved in Dance Marathon even after graduation and continue to develop relationships with those that they were involved with. DM can become a family if people allow it too and there is something special about finding that family of friends in an organization whose sole focus it is to do good. 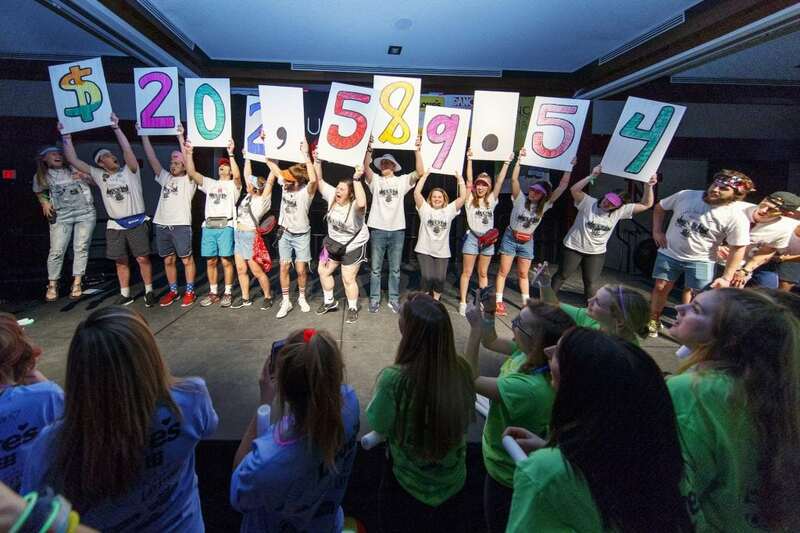 Obviously, Dance Marathon provides opportunities for college students to do good in their community, but it also provides opportunities to grow as a leader. 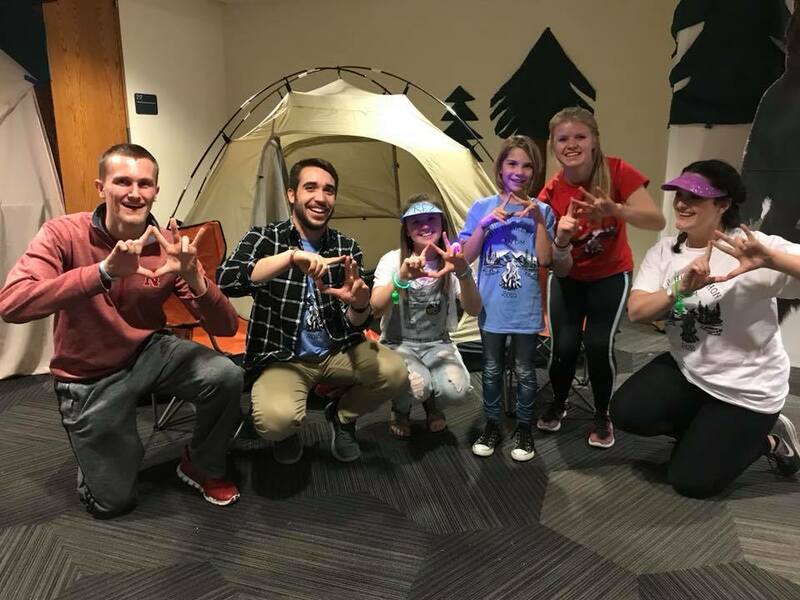 Not only can students grow within the student organization, but they can also form relationships with university officials, community members, businesses, and regional Dance Marathon leaders. Students can gain experience in communication, planning, organization and time management, quick problem-solving, and creativity. Dance Marathon also brings together leaders from all different areas of campus and walks of life. There are people interested in finance, teaching, economics, science, graphic design and advertising, journalism, and so much more. Working with all of these different disciplines fosters collaboration and strong teamwork–skills necessary to succeed in a career one day. Janae with members of Omicron Delta Kappa and Miracle Kids at UNDM. Throughout my four years in Dance Marathon I have experienced three different leadership and staff teams. The contribution I am most proud of from serving as president this past year is the changes and progress in staff culture and buy-in. In 2016-2017 we had a staff of about 95 people, but only had 43 people apply for staff for this year. This drop in applications screamed that something hadn’t gone right and I knew we needed to focus on staff culture for this year to be a success. In order to do this, we planned multiple events for staff members to get to know one another and encouraged committee heads to plan things for their committee specifically. We went out to dinner, did surprise fun meetings, had food, and much more to create a more family-like environment and one that people want to return to and encourage people to join. If our staff isn’t motivated to make our year special, then we couldn’t expect our campus to make it special either. In addition to improving staff culture, I made strides in our outreach to Dance Marathon alumni. Before this year, UNDM had not reached out to alumni in any capacity. 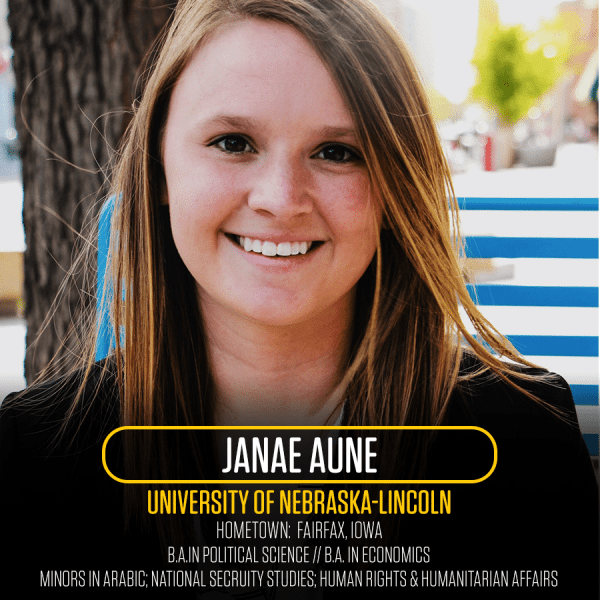 Using data from the past three events, I created communication pieces to those who had graduated and provided them an opportunity to sponsor a dancer from the team they were part of when they were at UNL. Many alumni responded to my outreach and were excited to be hearing from the organization and looked forward to increasing their involvement as an alum. I also reached out to alumni to inquire about in-kind donations they could provide, such as food for our event, sponsoring dancer incentive items, and merchandise. People should donate to their local CMN Hospital because, someday, their child or someone they know might be the one fighting for their life in the hospital. When that happens, they may be benefitted from something that they helped to provide through donations. Though students may not understand how they could be affected by a NICU monitor, or mobile cardiac care unit, or infusion room right now, they very well could require those things later in their life. Janae and members of the 2017-2018 University of Nebraska Dance Marathon staff.